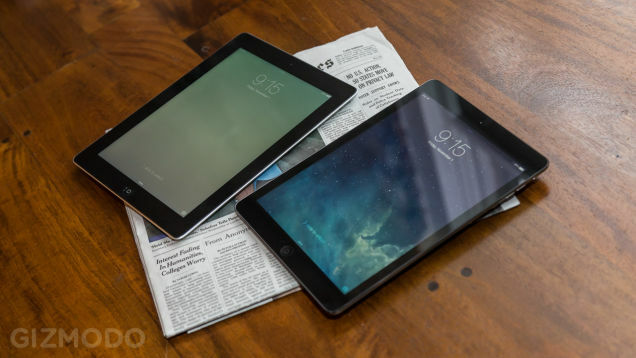 Will the new iPad be released in a few days? You are here: GeekSays Technology News » Apple » iPad News » Will the new iPad be released in a few days? Today, we have some truly exciting news as the latest reports indicate that this Fall will include one more exciting Apple event which will also include the release of some updates for their product lines. With this in mind, we may be able to see the new iPad models a bit earlier than expected before along with an Apple iMac update, which is also very exciting. Better graphic performances and a possible slight design change that will bring a thinner version of the iPad and perhaps a bigger screen even for the iPad Air. As the report was only made today, it may take a couple of more days before we get access to some more conclusive information about the products that Apple will release soon. While these represent early rumours, it is plausible that most of them will actually become reality. The truth is that we are all aware of the fact that the new iPad and iMac events do not bring in too much attention over Apple, but these are certainly exciting new products that shouldn’t be missed. Anyway, it seems like this season is getting better day by day. Based on the rumours that have been released so far, would you consider buying either the new iPad or the new iMac? We would be happy if you could let us know in the comments below.